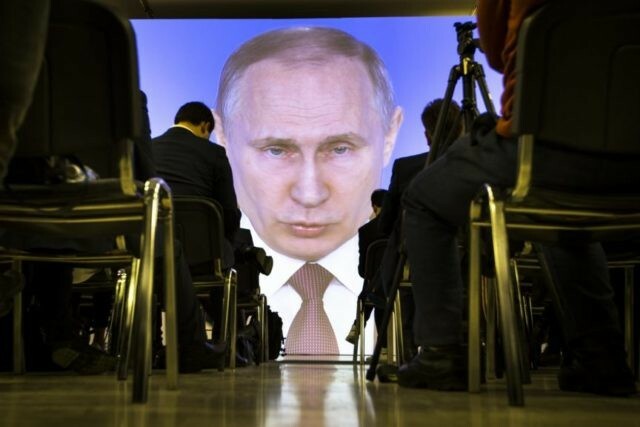 Russian President Vladimir Putin claimed that NATO cannot intercept a new range of Russian nuclear weapons in a speech Thursday, displaying computer-generated images of the weapons. Such developments are seen largely as a response to President Donald Trump’s substantial increase of the U.S. military budget, to which Russia has repeatedly threatened a reaction. Putin’s speech comes weeks before Russia’s presidential election, which he is widely expected to win amid concerns over its democratic legitimacy. There are currently seven opposition candidates running against Putin, although many have faced claims that they are in fact part of a ‘controlled opposition’ designed to guarantee Putin’s return to the presidency for another six years. The most popular opposition candidate, anti-corruption campaigner Alexei Navalny, is barred from running and has called for a boycott of the election which he argues will be rigged in Putin’s favor. The first round of voting will be held on Sunday, March 18.